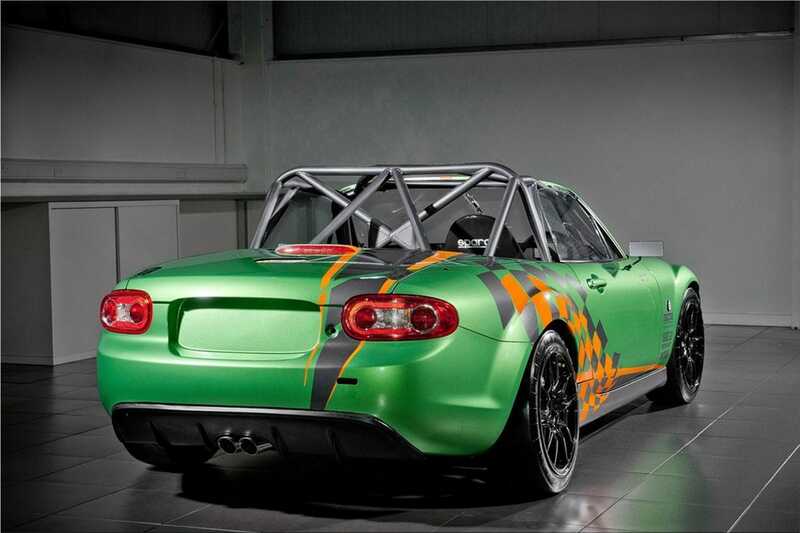 Mazda is preparing to compete in the MSA British Endurance Championship with a special edition of the MX-5 roadster. Simply named GT, this car was heavily modified by specialists from Jotta Sport to be ready to debut this weekend at Silverstone. The MX-5 GT has use polycarbonate windows, doors carbon fiber, an FIA approved rollcage and a new drivetrain. 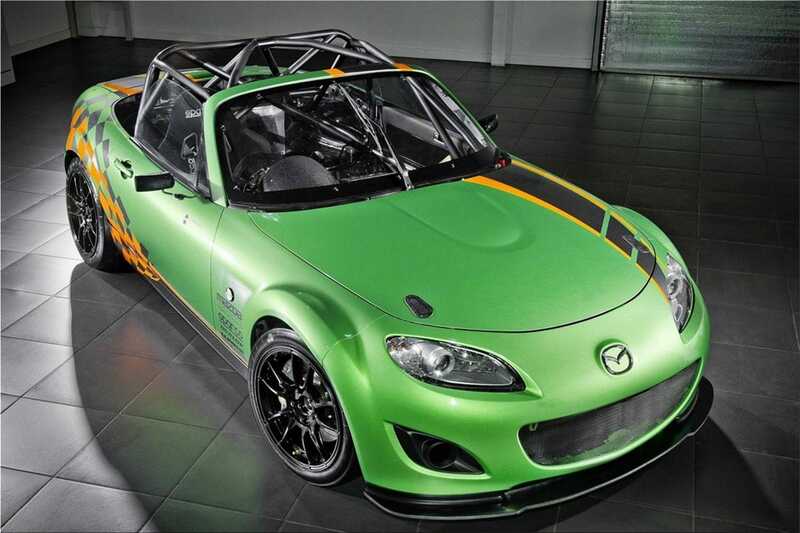 Japanese specialists and those from Jotta worked together around 400 hours to get the final result: the lightest Mazda MX-5 in history, it weigh only 1873 pounds (850 kilograms). Circuit version is powered by a 2.0-liter gasoline engine, modified to offer 279 hp. Power is operated with a six-speed sequential transmission with paddle, which makes the MX-5 GT version the fastest roadster from Mazda history. Engineers have replaced suspension, rear axle, steering and brakes. Could not be missing clamshell sports seat, fire extinguisher, competition wheels and Spirited Green metallic body color. 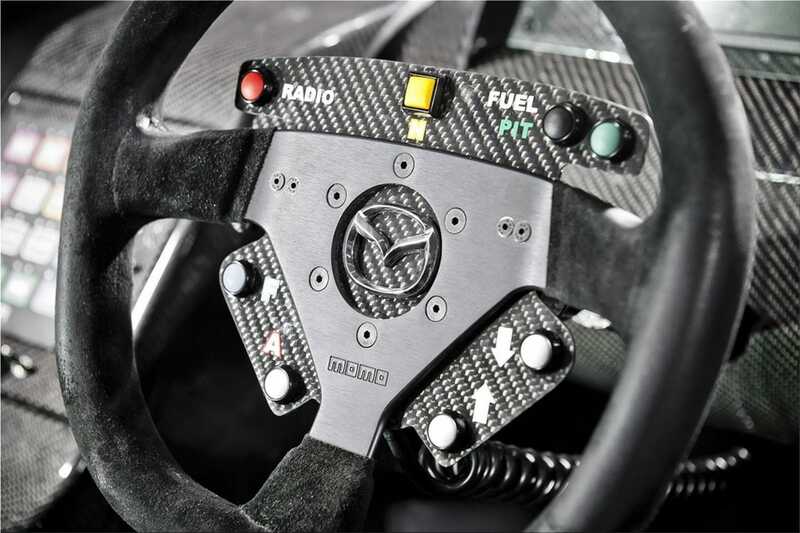 Mazda MX-5 GT Race Car is ready to assault the Silverstone: acceleration from 0 to 100 km / h in just 3 seconds, and top speed stops at 260 km / h.
PR:Mazda is set to challenge Aston Martin, Porsche, Lotus, and BMW on the race track with its lightweight Mazda MX-5 GT entry in the Britcar MSA British Endurance Championship 2011. The completed Mazda MX-5 GT features a modified Mazda engine to produce 275bhp, a six speed sequential paddle shift gearbox, carbon doors and Polycarbonate windows. On the exterior, the Mazda MX-5 GT boasts a Spirited Green metallic body colour - a first on the MX-5 for Mazda UK - complimented by Jota Sport corporate coloured liveries in orange and grey. Mazda is renowned for challenging conventions so the motivation to develop a Mazda MX-5 GT car comes naturally. It also comes at a time when Mazda has recently celebrated a number of milestones for MX-5 including its 21st anniversary and producing 900,000 MX-5 units globally since its introduction in 1989, with over 10 percent of global MX-5 sales from Britain. Meanwhile, the Mazda MX-5 continues to hold the Guinness World Record as the world's best‑selling roadster - testament to its continued popularity with British open top sports car fans. "The MX-5 production race car's modest power output, bullet proof reliability and nimble handling demonstrated last year how the MX-5 can be competitive against some of the purpose-built Lotus, VW and BMW race cars. With a higher power output combined with the durability, reliability and handling attributes that the MX-5 is renowned for; the Mazda MX-5 GT race car will be strong contender against the more powerful race cars in its class," comments Graeme Fudge, PR Director, Mazda UK.